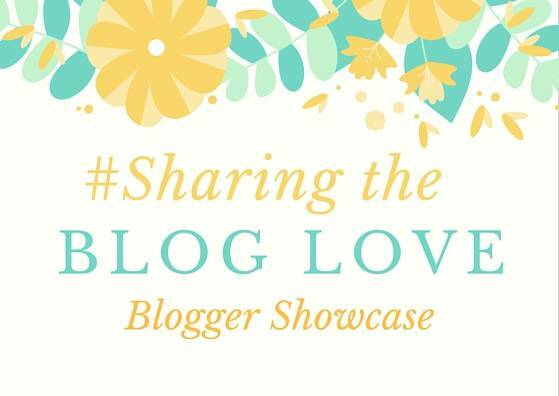 Welcome to this week’s #SharingtheBlogLove showcase where I share with you my favourite posts from last week. You can head over and read Laura’s showcase post too, it is Laura’s last one as my co-host. As Katy is coming back from her break. A BIG thank you to Laura for helping me over the last few week’s you’ve been amazing. I love to see people starting their own businesses, it can be a little daunting to take the plunge and I always try to support small businesses when I can. I was thrilled to see that Lucy has started her own t-shirt shop and I have to say they look brilliant. I have my eye on the bear range, as it’s Alice’s nickname (hence my blog name). If you haven’t seen them, please head over and give her some support. Well done Lucy and good luck with it! This post is totally me! Why Playing Small Does Not Serve The World, there appears to be so many of us that can’t take compliments and I’m definitely one of them. It drives Andy mad! I know why I can’t and it really is something that I need to overcome. As for people mentioning my blog, I just freeze up and don’t know what to say. I think a lot of bloggers are the same and its strange really when you think we put ourselves out there more than others. This is a post not to be missed. Do your children do kids activities? This is a great post by Emma, When kids activities mean more than just activities. It’s something that I hadn’t really thought about too much before. My girls go to swimming classes, but that is because for me it’s a life skill that they need. But them going to classes and being with other children can help them in more ways than we think. Head over for a read you won’t be disappointed. It took me a long to realise how important it was to have time for myself. For me it makes me a better mum and that can only be a good thing. A chance to recharge those mummy batteries and deal with the day to day challenges that comes with having children. I definitely don’t think it’s anything we should feel bad about. I could relate to so much of Becky’s post, Am I a Bad Parent for wanting ‘me time’? I too feel bad for asking people to help out with the girls if it’s for me to have time for myself. I need to work hard at getting better at this. Thanks for featuring my post. Off to read the Me Time post I missed before. I’m lucky because despite working I probably get more time to myself than I want because N loves to go out on the farm so much, plus sometimes I can get flexi days.